Every large design concept is built from several smaller elements, so we believe that introducing a small but fascinating detail can make a huge impact. 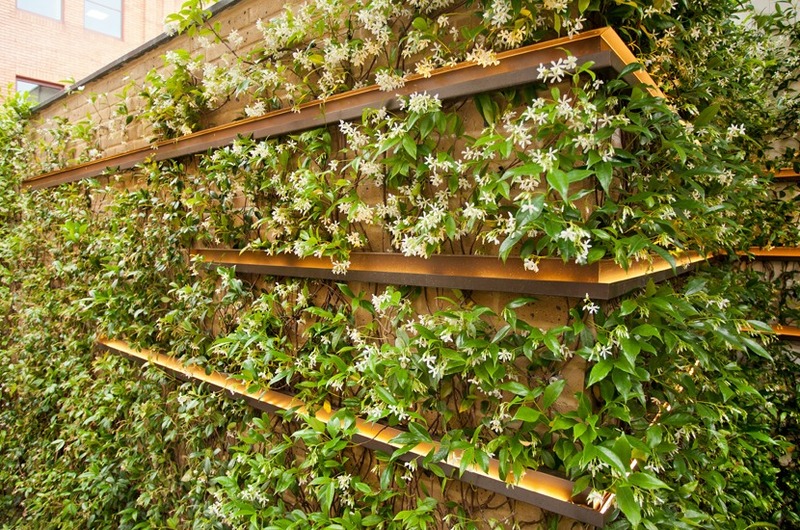 These details must be visually pleasing, but they can also refer back to colours and forms within the hard landscaping, such as the fencing, paving or tiling, to create something unique to an individual garden. 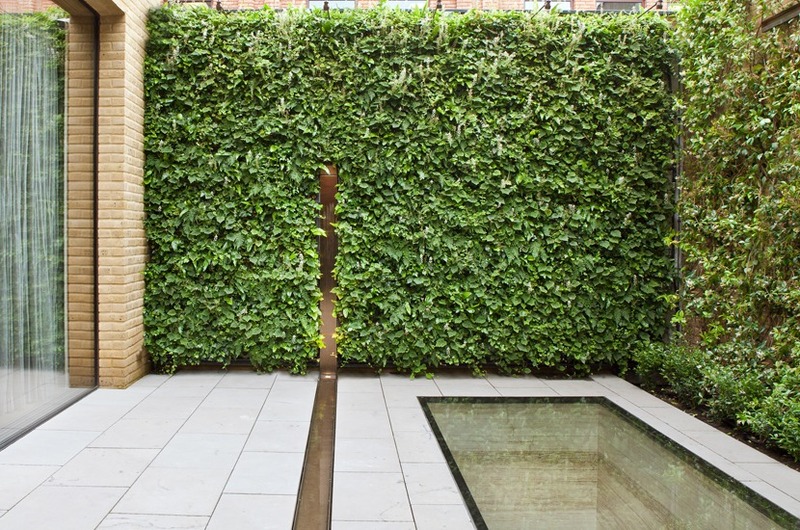 This approach is clearly demonstrated in our Burnsall Street garden, where the horizontal and vertical bronze details serve as lighting elements. They run vertically down the wall and then, suddenly, take a horizontal turn and transform into water channels. 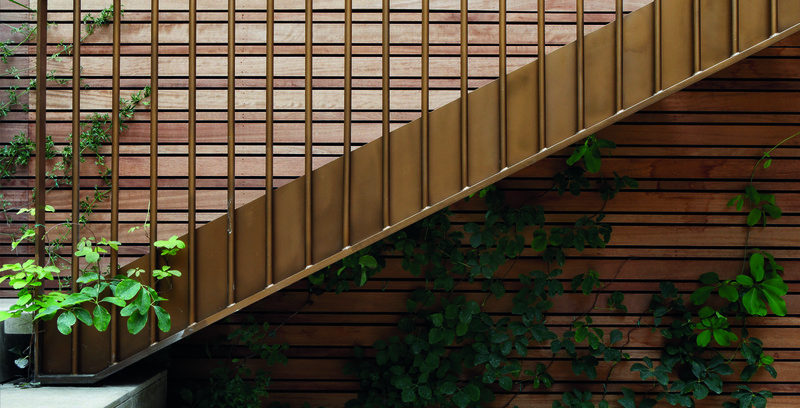 The vertical elements of the bronze stairs contrast with the horizontally placed fence in the background. The climbers underneath create fluidity between these contrasting elements. The bronze colour of the stairs blends in well with the warm colour of the iroko fence behind.